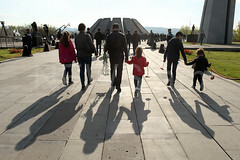 YEREVAN.- Former defense minister Seyran Ohanyan is charged under 300.1 Article of Armenian Criminal Code – for overthrowing constitutional order in the country, senior official of Armenia’s Prosecutor General’s Office Vahagn Muradyan confirmed the information today. Signature bond on not leaving the country has been applied as preventive measure. 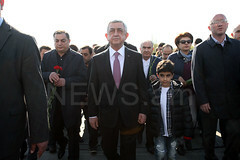 Ohanyan was the chief of staff of the Armenian armed forces during March 1, 2008 developments. Armenia’s second president Robert Kocharyan, former defense minister Michael Harutyunyan, former secretary of National Security Council Armen Gevorgyan and former secretary general of CSTO Yuri Khachaturov are charged with the same article.